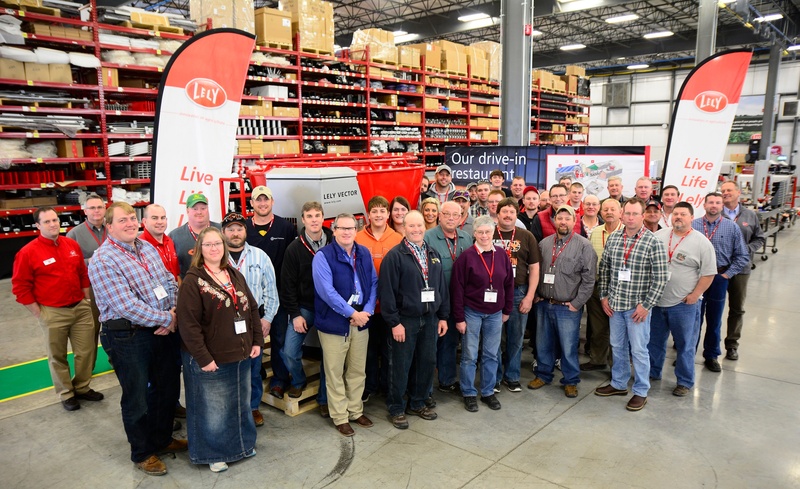 Last week Lely North America held another Lely Journey where we welcomed dairy owners from across North America to visit dairy operations who use Lely product. We started with a tour at Forest-Lawn Dairy near Nicollet, MN which is home of the oldest registered Holstein herd founded in 1857. The Journey continued through Minnesota and into Iowa visiting several dairies that have added Lely Astronauts as well as Lely Juno, Lely Vector and the Lely Calm products. Many of these dairies shared their own stories on achieving increased milk production, better herd health, labor savings and having more information about each cow. Tour participants were able to see the Lely products in action and have one-on-one conversations with producers about barn designs and more. The tour concluded with a visit to the Lely North American facility in Pella. If you have an interest in participating in a Lely Journey, please contact your local Lely Center for more information or email us at lelydairylife@gmail.com.